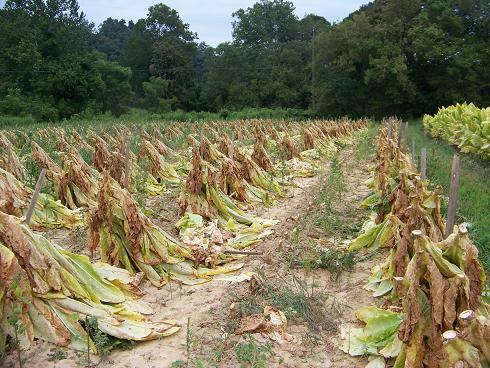 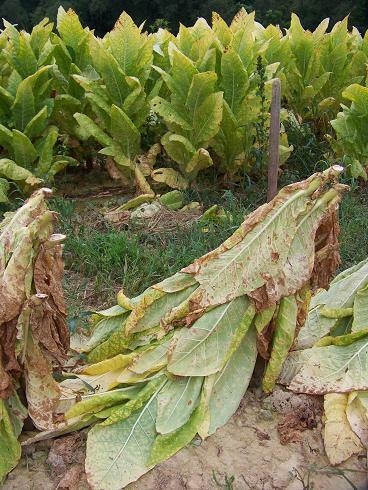 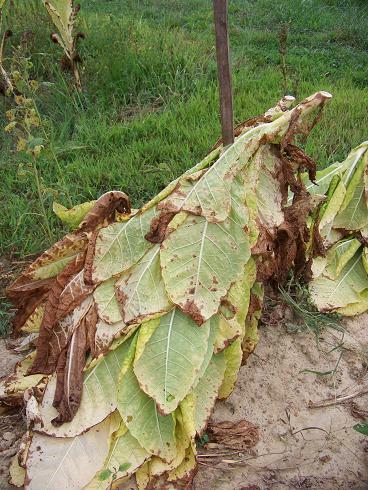 Cutting and housing the tobacco is the most difficult part of the growing season. 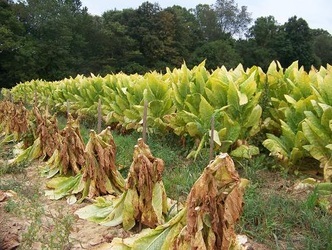 Each plant has to be cut and put on a stick. 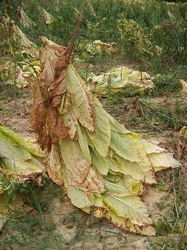 After the plants wilt for a few days in the field each stick is hauled to a barn where it is hung until it dries. This can be backbreaking work and not to mention the fact that it is usually done during the hottest time of the year, late August into September. Below you will see some photos showing tobacco that has been cut and is waiting to be hauled to a barn where it will be hung to dry.